PRETTY MACARONS | jeni a.
Yellow + cream + green + pink. 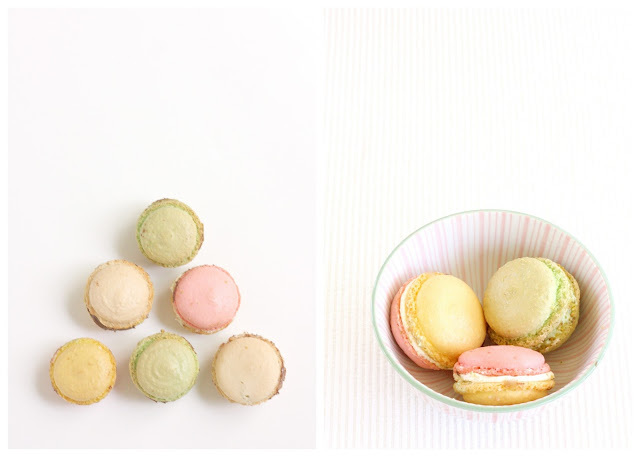 Pretty macarons from le petite. I was taking photos of them today when this little person crawled up beside me. And tried to steal one. And stole one she did with smashing success. Mobile Olivia is the new hit around here, and her curiousness-in-action is quite the show...I love watching her go go go. I have to tell you - being a mother is better than anything. It's even better than those amazing macarons, which is saying something strong because those things were heavenly. I adore mothering. 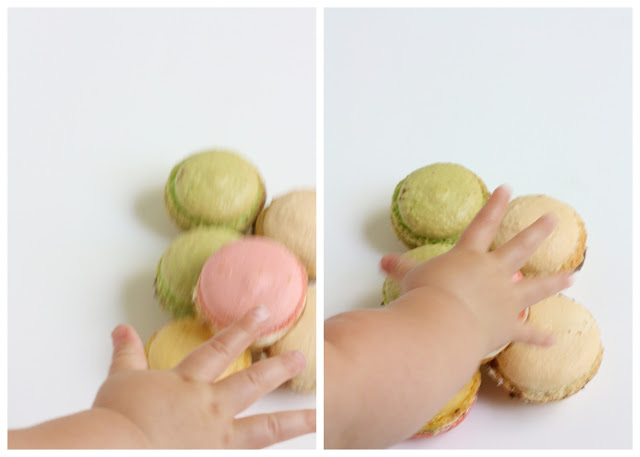 And as of today, I really like macarons. WHAT a great post. I love the image of her cute chubby hands reaching in to be part of the action. The imagery is just too good! Adorable photos Jeni. Olivia's hands make the photos perfect. We hope you all got to enjoy some. Thanks for the mention on your post.